Skaters! Referees! Volunteers! MCRD is looking for you! Orientation night will be Wednesday July 16 at The Neighborhood Bar from 7-9 PM, and Saturday, August 9 at the Shoreline Beach Cafe from 12-2 PM. (Bring your skates if you have them.) 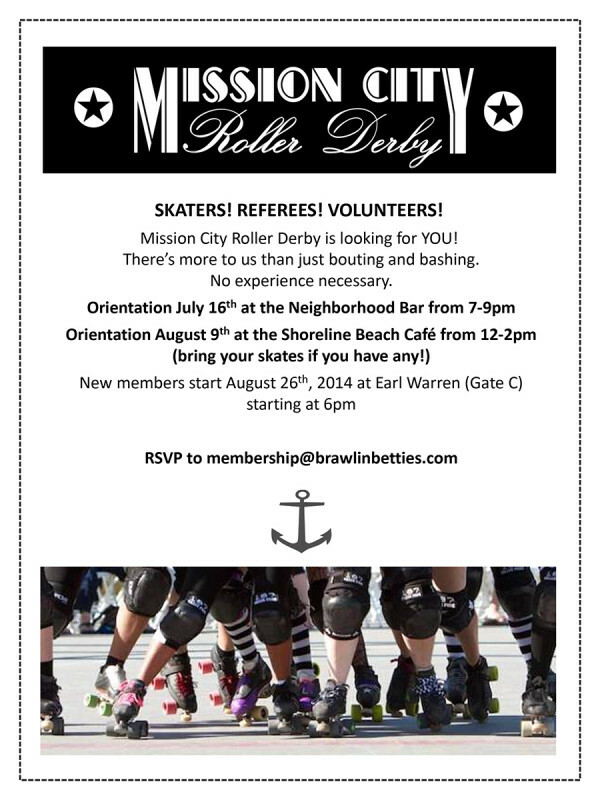 New members start Tuesday, August 26 at the Earl Warren Showgrounds (Gate C) at 6:00 PM! Click the image below to download the PDF version of our flier.